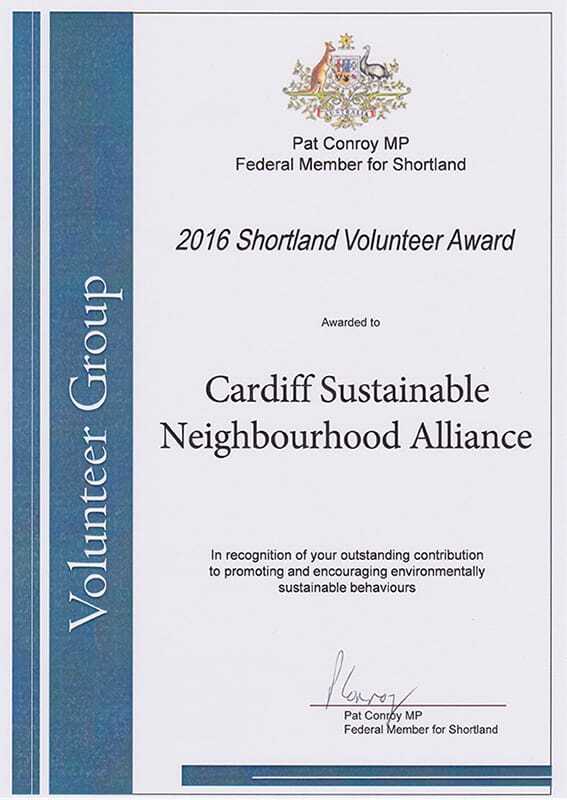 ​At a special ceremony held at Belmont Sportsman's Club, the Cardiff Area Sustainable Neighbourhood Group was declared Volunteer Group for 2016, in the Shortland Volunteer Awards. 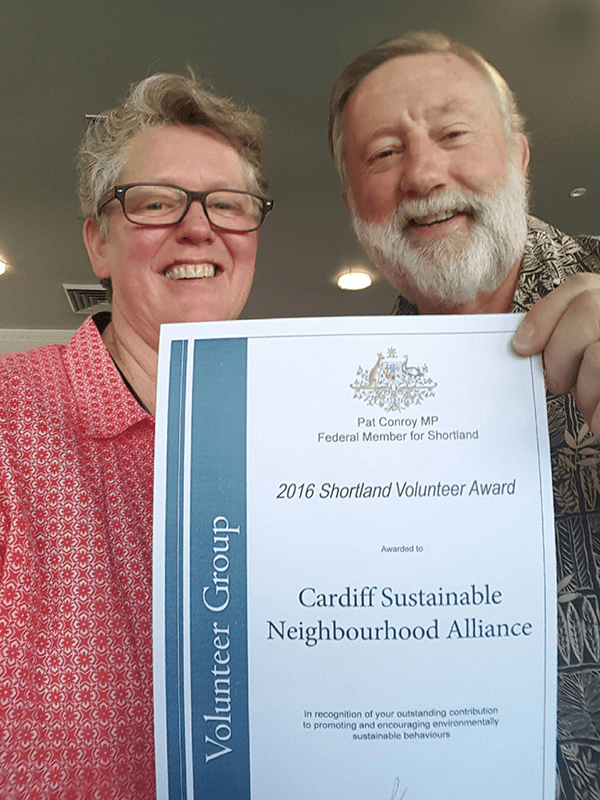 Committee Members Diane Gosling and Barry Shepherd were on hand to accept the Award on behalf of Members, from Pat Conroy MP, Federal Member for Shortland. Although the Group has only been operating for about 14 months, the Award is a strong recognition of the Group's valuable work during that time. 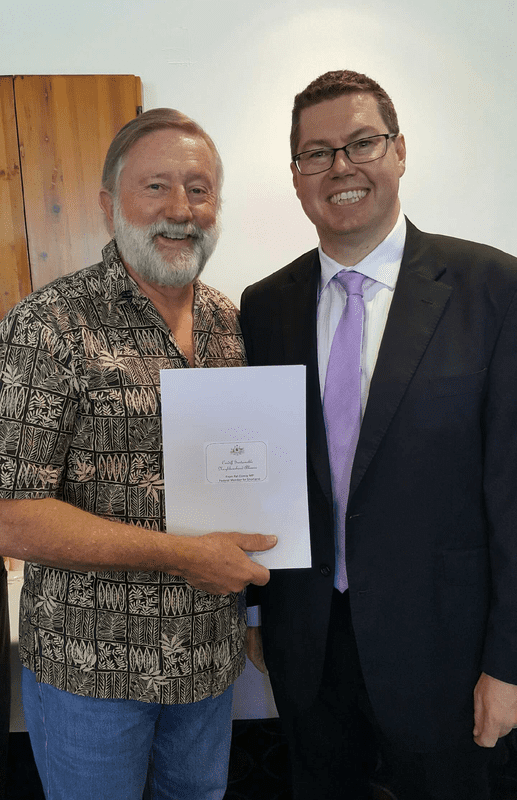 In presenting the award, Mr Conroy listed the many activities undertaken by the Group during 2016, and finished with a special reference to the recycling of coffee grounds, carried out by Member Kerry Cooper. Congratulations should go to all Members of CASNG, and also our thanks go to family and friends, who attended and helped with our activities throughout the year. This is a major validation of CASNG's initial year of operation, and Members can all feel very proud of their efforts for residents of Cardiff, Garden Suburb and Hillsborough.